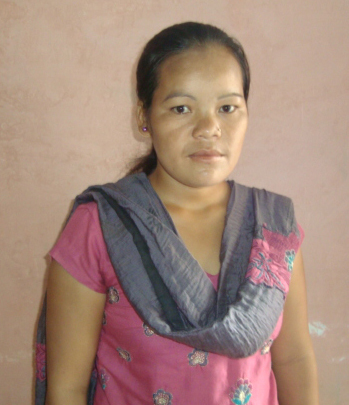 Topala attends a teachers college in Pyuthan Khalanga, a one-hour walk from her village. Pyuthan is a hillside bazaar town and the administrative center for the Middle Hills district of Rapti Zone in Mid-western Nepal. From 1996-2006, Rapti Zone was at the center of the Maoist insurgency that ultimately impacted Nepal’s transition from a kingdom ruled by a Shah dynasty into a republic. Following her’s death father in 2011, Topala and her mother worked “in construction” for two years, carrying bricks in baskets on their backs. Topala survived the hard labor with a sense of humor and an eagerness to pursue an education and make a difference for others in her community. In her free time, Topala enjoys knitting boa scarves!